We have walked many miles in Bermuda during our numerous visits to the island. This is probably the best way to explore the island, its nature, the landscapes, and the deep history and heritage of the people. However during summer time, weather in Bermuda can sometimes become quite warm and extremely humid. I won't recommend long walks in such times unless you are a seasoned walker. Irrespective of the time of your walk, I would suggest that you wear a hat, walking shoes and comfortable clothes. You may also want to bring along a bottle of water and a small towel in case there's a chance to cool down along the way. The hiking trails and walking tours that I have designed and chosen below, offer wide variations. They are mostly self guided and some with experienced guides. Here are our favorite walking tours in Bermuda and the best of nature trails for hiking. Bermuda Railway Trail is probably the most scenic trails I have ever seen in the island. Bermuda's railways no longer exists. But the original railway track has been converted into a beautiful walking and cycling trail. It offers a wonderful way of exploring the island from East to West. The trail passes through lovely landscapes, forested area and parklands, and from many places you get wonderful view of the north shore. Out of 22 miles of the original railway track, you can access about 18 miles today. You will need minimum 2 to 3 days to walk the entire trail. I have however discussed the trail by sections and shared my views on which are the most scenic sections that you mustn't miss. I have created this self-guided tour with clear directions on how to explore the beautiful historical town of St George. This is one of the fascinating Bermuda tours on foot. You can always take a scooter, or a public transport or even a horse drawn carriage to complete the tour. You will go back in time and feel how Bermuda used to be centuries back and how it has been able to retain its rich heritage over time. The narrow lanes, old buildings, quaint stores and original architecture are all reflective of a story that Bermuda has been known for since ages. No wonder this town has been accorded the World Heritage Site status by UNESCO. This one is for the sheer beach lovers. Most of the beautiful beaches of Bermuda are locate on its south shore and across the Southampton and Warwick parishes. There is a lovely sandy trail that runs along the cliff side at a slightly higher level and offering scenic views of the beaches. You can instead choose to walk along the beaches. Then you can take a dip and swim at the wonderful coves as you pass by them. So this walking tour is not just about hiking and enjoying the blue waters, it's also about combining your walk with swimming and snorkeling at some of the mind blowing water areas. At the end of the hike, you will reach the branch of a famous pub of Bermuda where you can decide to take a drink and have your lunch. Here is another self-guided walking tour that I have designed. Like the town of St George, we have walked across the city of Hamilton many times. You will visit many of the famous historical buildings, museums, parks and churches that tell all the story of Hamilton City. I have also indicated the best restaurants to dine in Hamilton. If you follow the instructions in this section, you should be able to easily self guide yourself and cover the best of Hamilton city. If you are in Bermuda on a Sunday and plan to walk, here is a great option. The Walking Club of Bermuda meets every Sunday at 7am and starts a 6-7 mile long walk along some great scenic routes. It's fun and free for visitors. More importantly, you will walk some routes that are known only to the locals and get to experience an intimate part of the islanders' life. Surprisingly this 21 square mile island has a lot of unspoiled nature and wide diversity of habitat. While the Railway trail does take you through many of such wonderful places, there are a lot more to be explored. With the south and north shore coastlines, reserves, parklands & gardens, forests, caves and pools, Bermuda offers some great nature trails along with native plantations, wide range of birds and array of wildlife. This guided Bermuda walking tour covers the gardens at Waterville and continues through Paget Marsh, a nature reserve that provides a step back in time to view pre-colonial vegetation over 25 acres of original green. This is another guided walking Bermuda tour. Spittal pond provides a diversity of habitats and an amazing variety of birds, especially during the migration seasons. It is Bermuda’s largest bird sanctuary and a nature reserve. This is a 90 minute walking tour of the 35-acre Botanical gardens of Bermuda. It's a scenic walk through greenery, beautiful golf courses, beaches, forts and so many other wonderful places. You can also plan for a short snorkel. Here is something unique. Having been through it, I don't think it's really meant for all. If you have passion to explore unspoiled flora and fauna of Bermuda in an Island that is not too far but still very isolated, and conserved to reflect Bermuda's original vegetation, this is the place for you to go. NOTE: The island is now a restricted area due to its sensitivity towards recently restored habitats for critically endangered species and the national bird Cahow (Bermuda Petrel). You should work through Bermuda's Department of Conservation for such hikes and tours. Explore the town of St George, its historical sites, architecture, gardens, narrow streets and alleyways, culture and more with a certified guide. Follow the story teller at night, explore the history of St. George's as you walk through narrow winding lanes, and along the way encounter the ghost characters of several famous residents of early days. This is a guided group tour. The highlight of this tour is knowing about Bermuda's history as you listen and watch the character role plays by actors along the way. This fun, entertaining and educational tour has been introduced in May 2015. This is a walking tour guided by a long term resident of Bermuda - Jo Cook. She takes you to real offbeat tracks and helps you explore the nooks and crannies which tourists seldom experience. These walking tours are for individuals, families and small groups of 2 - 6 people. Here are some great scenic routes that we love to walk. If you follow the instructions, you will never lose the way. We love these hikes in Bermuda. Hello, I planned to come to Bermuda in October for a "self guided" walking trip offered by Breakaway Adventures. I am traveling alone. Just found out the cost would increase by $199 per night "single supplement". That was on top of the Beakaway Adventures cost of $3000. The $3000 + $199 per night included room at Coco Reef Hotel, maps outlining the walking route, breakfast/dinner at the hotel. Cost did not include transfer to/from airport as I am traveling alone. Cost does not include airfare. Pretty expensive walk. Then I found your site! I bet I could do this walk for half the price and accomplish my goal of walking 5-8 miles a day to recover my health and joy. I am 70 year old female in reasonable shape. no infirmities. But I would need assistance re hotel suggestions and daily routes to walk. Any chance you would be interested in helping? With the money I would be saving I would be happy to hire a guide whose only responsibility would be setting up a hike path each day and making sure I didn't get lost! Please?? 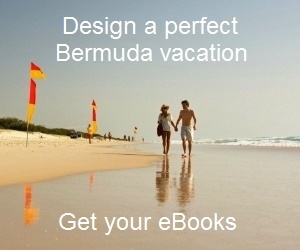 Hi, In Bermuda you won't usually find private or personal walking guides because of low demands. Most individual guides are taxi drivers and offer private taxi tours or van tours. Few others offer guided short walking tours for groups and only on set paths like in St. George's Town where they specialize. Having said that, here are couple of persons/tour companies who offer private walking tours (suggest you call them up and talk instead of sending an email). 1) Tony (Anthony Young) of Paradise Tours. He conducts walking tours all by himself and also does personalized walking tours. A very knowledgeable man who loves to explore the nooks and crannies of the island. 2) Ashley Harris of Hidden Gems of Bermuda. While she conducts several set tours of caves and jungles, she herself is a great guide and has other guides in her team. They do private tours as well. You can approach her to find out if they can fit your requirements. Phone: (441) 704 0999; (441) 236 1300. Railway trail is great for the hike, but you won't find accommodations along the trail and will need to get into the parish townships to find one. It's high season, so most accommodations will be full. Do your research well and keep enough back up plans for the lodgings. Rates will be high in general. Just spent a couple of days in Bermuda before taking one of the racing boats back to NJ. Anticipating 5 days or more stuck on a small boat on the ocean, I thought it would be very nice to hike around Bermuda. Much to my surprise, this was very difficult, if not impossible. Sure, Hamilton has sidewalks, and it is possible to sneak along in some parks between Hamilton and the Dinghy Club, but elsewhere, like walking between Elbow Beach and the Dinghy Club (about a mile?) required flattening out spread eagle style against the coral walls (bobsled run walls?) as the cars sped by. This state of affairs is ridiculous! Bermuda is a small island and it would only make sense to have it more pedestrian/biker friendly. Many of the streets could be one-way allowing room for pedestrians and bikes and cars to share the asphalt. There could be a wider ban on cars and many more frequent busses. It is sad to see such a lovely island and to know it is unsustainable in so many ways and locked in to big oil.